Dolls House Plans - IMMEDIATE DOWNLOAD, w/printables for many accessories! Classic Full length old time radio shows on MP3 format on disk. Anyone into old time radio will love this disk. Each book is in high resolution PDF format. ALL KNOWN EPISODES TO EXIST. Don't be fooled by other collections that claim to contain more episodes. Many of these shows were aired on multiple dates in reruns, so you have plenty of sellers out there padding their collections with reruns! We feature all known episodes in existence and do not add "fluff" to our collections to increase our claimed episode count like many others. We always include an episode list, so that you can see all the episodes included for yourself. NOTICE: This collection is all in MP3 format supplied on DVD. You play this in your computer and then can copy all the MP3 files to your MP3 player of choice. This DVD will NOT play in a regular CD player in your car, or your TV's DVD player, it is intended for your computer only which will allow you to transfer the MP3 files to any device that can play MP3's. This collection remains the largest most original collection on ebay. The Grand Ole Opry is a weekly country-music stage concert in Nashville, Tennessee, which was founded on November 28, 1925, by George D. Hay as a one-hour radio "barn dance" on WSM. Currently owned and operated by Opry Entertainment (a division of Ryman Hospitality Properties, Inc.), it is the longest-running radio broadcast in US history, albeit not the longest-running one on a radio network. Dedicated to honoring country music and its history, the Opry showcases a mix of famous singers and contemporary chart-toppers performing country, bluegrass, folk, gospel, and comedic performances and skits. It attracts hundreds of thousands of visitors from around the world and millions of radio and Internet listeners. The Opry's current primary slogan is "The Show that Made Country Music Famous". Other slogans include "Home of American Music" and "Country’s Most Famous Stage". In the 1930s the show began hiring professionals and expanded to four hours; and WSM, broadcasting by then with 50,000 watts, made the program a Saturday night musical tradition in nearly 30 states. In 1939, it debuted nationally on NBC Radio. 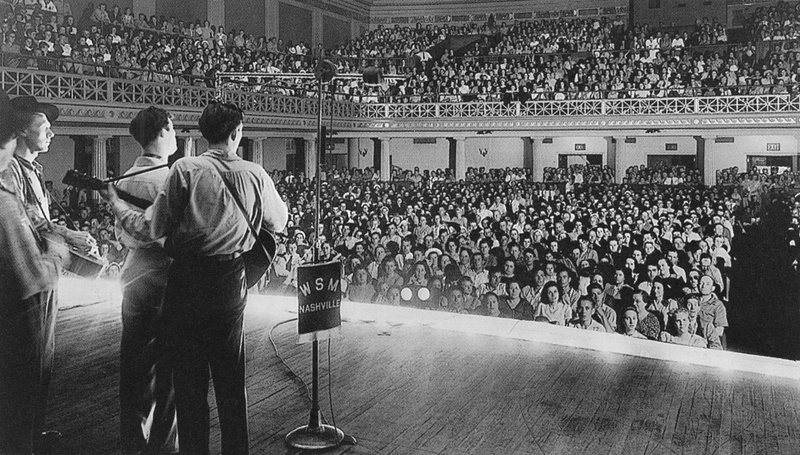 The Opry moved to a permanent home, the Ryman Auditorium, in 1943. As it developed in importance, so did the city of Nashville, which became America's "country music capital". The Grand Ole Opry holds such significance in Nashville that its name is included on the city/county line signs on all major roadways. The signs read "Music City|Metropolitan Nashville Davidson County|Home of the Grand Ole Opry". Membership in the Opry remains one of country music's crowning achievements. Such country music legends as Hank Williams, Patsy Cline, Marty Robbins, Roy Acuff, the Carter family, Bill Monroe, Ernest Tubb, Kitty Wells and Minnie Pearl became regulars on the Opry's stage. In recent decades, the Opry has hosted such contemporary country stars as Dolly Parton, Alan Jackson, Garth Brooks, Reba McEntire, Josh Turner, Carrie Underwood, Brad Paisley, Rascal Flatts, Dierks Bentley, Kacey Musgraves, Blake Shelton and the Dixie Chicks. Since 1974, the show has been broadcast from the Grand Ole Opry House east of downtown Nashville, with an annual three-month winter foray back to the Ryman since 1999. Performances have been sporadically televised in addition to the radio programs. 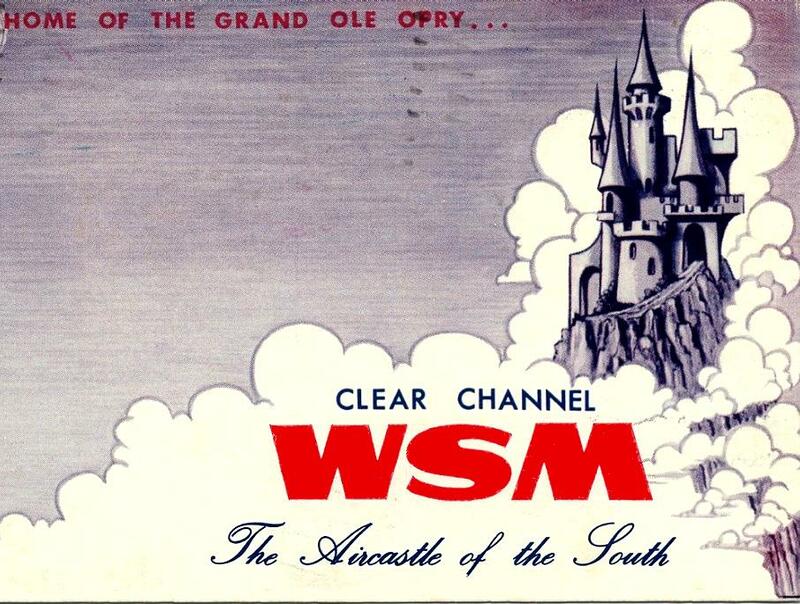 WSM (branded The Legend) is a 50,000-watt AM radio station located in Nashville, Tennessee. It broadcasts a full-time country music format at 650 kHz and is known primarily as the home of The Grand Ole Opry, the world's longest running radio program. The station's clear channel signal can reach much of North America and nearby countries, especially late at night. It is one of two clear-channel stations in North America, along with CFZM/740-Toronto, that still primarily broadcast music. Nicknamed "The Air Castle of the South," it shares its callsign with WSM-FM, also in Nashville, and formerly with television Channel 4, now WSMV.